Mail: You can also send us a cheque made payable to Easter Seals Nova Scotia or drop it off at: Easter Seals Nova Scotia, 22 Fielding Avenue, Dartmouth NS B3B 1E2. Donate in memory of a loved one or friend, or honour a colleague, friend, or family member with a Memorial or Tribute gift. We will provide a customized card that can be delivered in your name. Please contact Michelle MacMullin at michelle@easterseals.ns.ca or call 902-453-6000 ext. 228 or make your gift on-line. A donation of publicly traded securities allows you to support us and take advantage of the capital gains tax provisions on the donated securities. Please contact John MacDonald, Director of Development at 902-453-6000 ext. 224 or email john.macdonald@easterseals.ns.ca prior to your planned transfer of securities to discuss the securities being considered and the purpose of your gift. Your broker can arrange for the transfer of your shares to our account. A legacy or planned gift can assist our programs for Nova Scotian children, youth, and adults with disabilities now and in the future. These gifts can help fund important programs designed to break down barriers and make a difference for those living with a disability. A legacy / planned gift is made after deliberate consideration through a financial or estate plan and requires some type of legal document. There are tax advantages under current law. Please consider making a lasting legacy by helping to ensure an accessible future for Nova Scotians with disabilities. To find out more, please contact John J. MacDonald at john.macdonald@easterseals.ns.ca or call (902) 453-6000 ext. 224. Special Events: Participate in or contribute to one of our fundraising events! Charity Car – how to donate an old vehicle! Easter Seals Nova Scotia partners with Green Vehicle Disposal and Charity Car to facilitate the environmentally safe disposal of recycling old vehicles. 100% of the recycled value of your old vehicle is donated to our charity, and your vehicle is disposed of in an environmentally safe manner! We issue you a tax receipt for the recycled value. Learn more about Charity Car! Memberships: Easter Seals Nova Scotia has three membership options; click on your desired membership below, and choose the level of membership from our “fund” drop down menu and input the corresponding amount under $. In support of all the programs of Easter Seals Nova Scotia. Entitles you to full membership benefits, including voting privileges at the Easter Seals Nova Scotia AGM in the Spring of each year. $10/year. In support of Polio Nova Scotia program. Entitles you to full membership benefits. $10/year. Provides both Easter Seals Nova Scotia and Polio Nova Scotia Memberships. Entitles you to full membership benefits of Easter Seals Nova Scotia and Polio Nova Scotia. $15/year. Easter Seals Nova Scotia’s Registered Charitable Number is 13164 0922 RR0001. Our 2018 Registered Charity Information Return (form T3010). 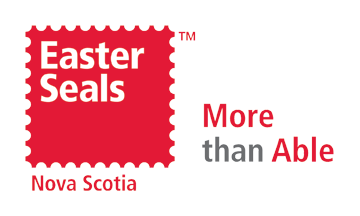 Easter Seals Nova Scotia does not sell, trade or otherwise share our mailing list. Copyright © 2018 by Easter Seals Nova Scotia.